// august 4, 2013 // **Weekend Reading. “…Today, we are so used to the idea of the ground as an ecology of architecture that it is difficult to imagine that it was ever any other way. 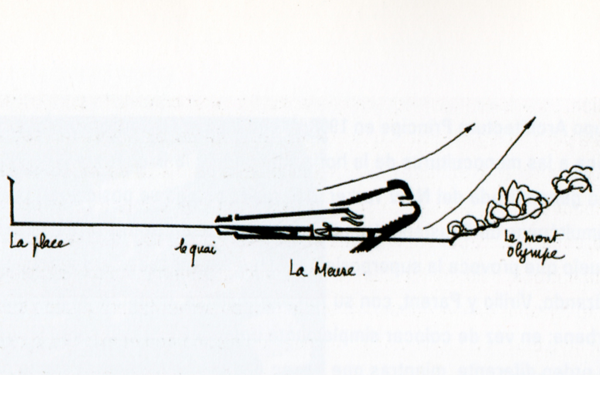 In 1926, in his “Cinque Points d’une Architecture Nouvelle” Le Corbusier proclaimed the “Libération du Sol”. The Unité d’Habitation in Marseille (1947-52), the architectural icon of this freeing of the ground, became the predominant building type of the modern movement. 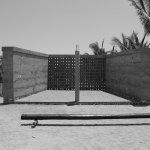 WIthout direct ground contact the house escapes from its physical surroundings. 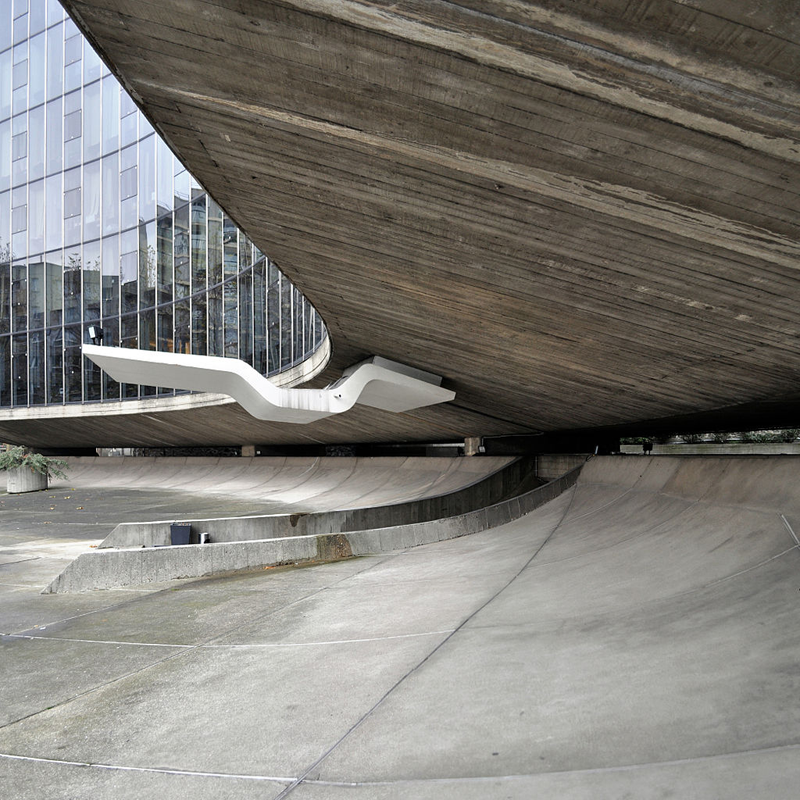 The ground ceases to define architecture…Whereas architecture is taking off, the ground is abandoned back on earth. It is impossible to imagine the Villa Savoye on a site with an excavated topography.The solemn aura of its ideal-type geometry needs the undescribed surface of the virgin earth, which embraces the building and makes it look like an island in the sea… the context finally mutates into that featureless mass with which the modern agony of the ground enters its ultimate stage and which -as “tabula rasa”- was to become the “prima materia” of modern urbanism. 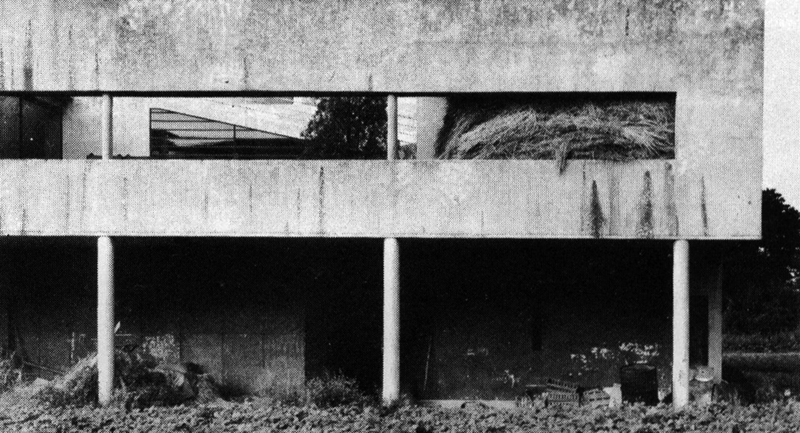 The Villa Savoye as a cow shed with hay, ca. 1950ies. 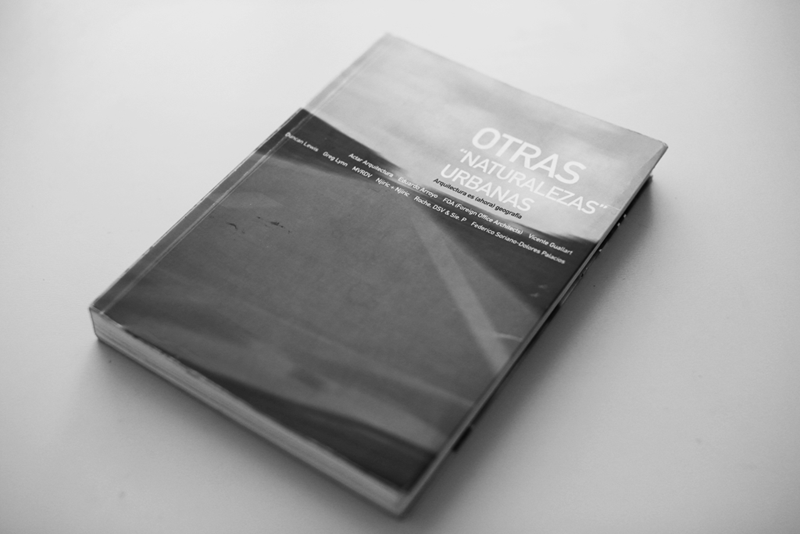 …During the 1960s this idea of the ground as a “terra incognita” gradually began to change. 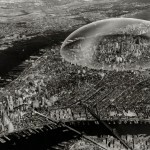 If up to now “Ground Space” had only been defined negatively (as a negative volume between the building and ground level), it is now increasingly seen as a “habitable condition”. Interestingly, Le Corbusier was once again a pioneer of this development. 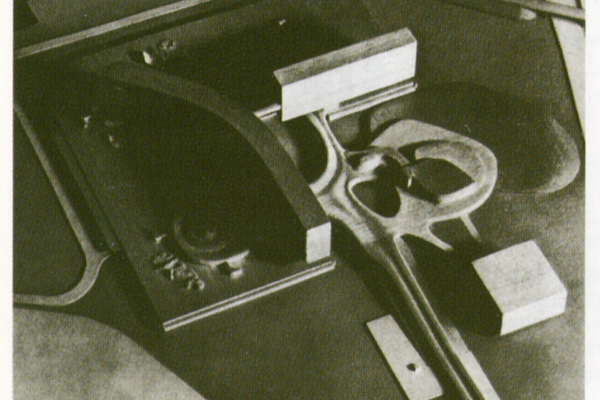 In his later constructions, such as The Couvent de la Tourette (57-67) and the Carpenter Center for the Visual Arts(61-64) this new evaluation of the ground is already announced, but perhaps it is to be seen in its most radical form in the unbuilt Electronic Calculation Center Olivetti (1963). Centre de calculus électroniques Olivetti. Model. 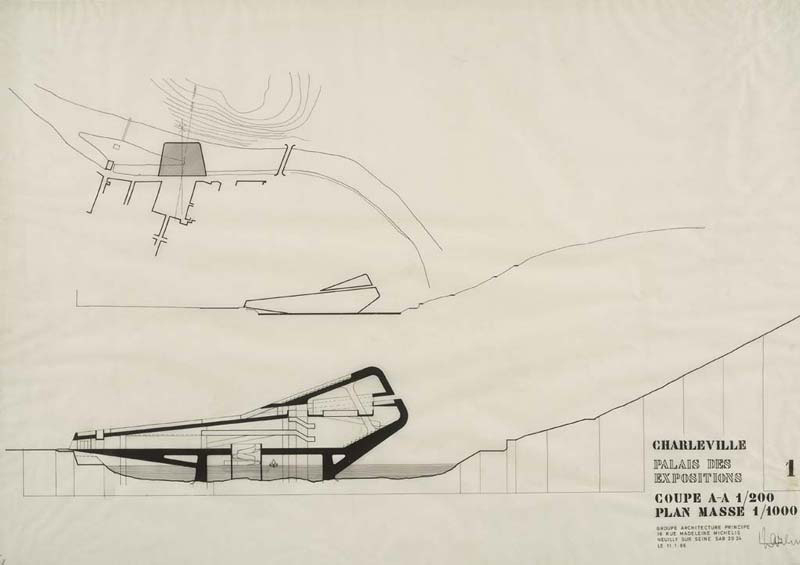 It is precisely this spaces that was coming top the fore of architectural research when Paul Virilio and Claude Parent founded their “Architecture Principe” group in 1963 -same year that Le Corbusier designed his Olivetti-Project. Their point of departure was to fight the monocultures of the horizontality such as Frank Lloyd Wright’s Broad-acre City (’35) and the absolute verticality of the New York Skyscraper, yet their position was also contrary to the contemporary metabolic utopias of Constant, Yona Friedman, Domenig/Huth, among others. Virilo and Parent invent with their “Fonction Oblique” a conceptual model for achieving urban continuity: Instead of simply putting a new city on top of the old one, they transfigure the existing ground into a new order, letting the new city emerge out of the old one. In accordance with Virilio’s idea of “habitable circulation”, all surfaces are multi-programmed. Their venture found little or no following in french architecture, however, it did provide a decisive impulse for the international debate, the constructed results of which were, paradoxically, first seen in France. 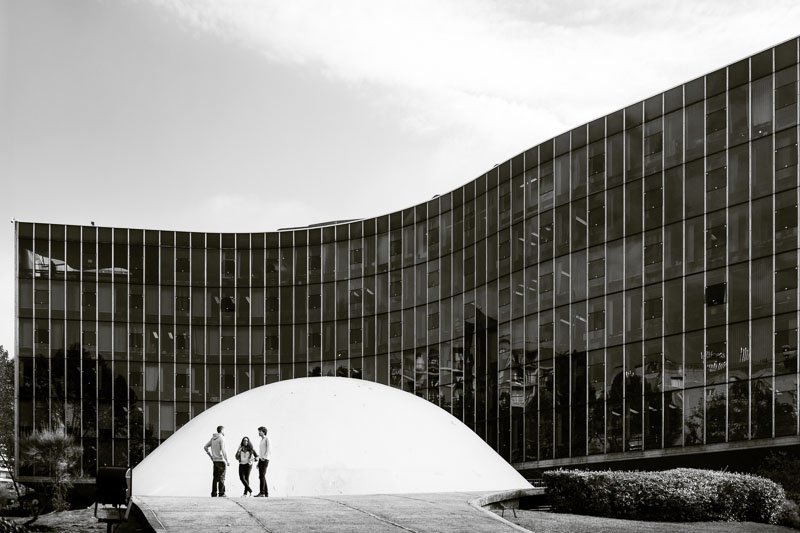 In 1967 Oscar Niemeyer was commissioned by the French Communist Party to build the new headquarters for their central committee. 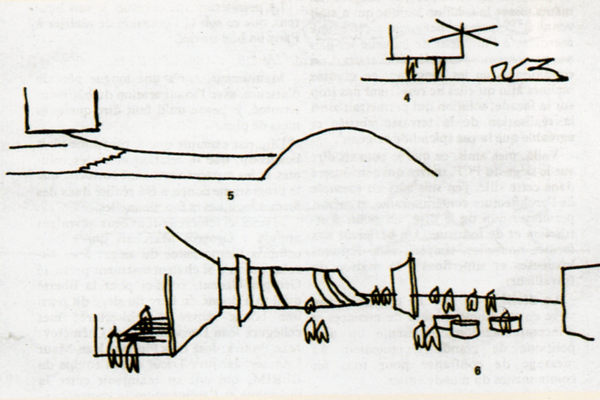 His project seemed to further develop the ideas of Parent and Virilio, who were to end their partnership one year later… In a spatial mise-en-scène charged with suspense like a Hitchcock movie, Niemeyer gives the ground a form, and extension and a location. Centre Culturek Charleville, Paul Virilio + Claude Parent. The function of the oblique. The Architecture of Claude Parent and Paul Virilio 1963-1969 (AA Documents #3, 1996).